As we all know, the only constant in the world is change. During periods of change we all go through natural cycles of resistance, denial and ultimately everyone moves on and accepts the new reality. Maybe it has something to do with the speed that news travels via the Web and social media, but class in the face of pressure and change seems to be something that has gone missing in action of late. What Gilbert fails to mention is that LeBron’s presence in Cleveland for the last several years has increased the value of his franchise by over $100 million and led to a sold out arena night in and night out. 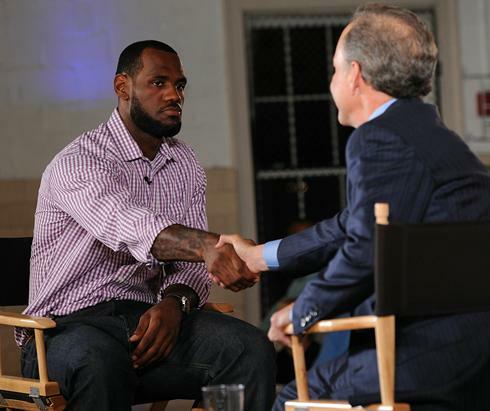 Gilbert should have been thanking LeBron for the contribution to his personal net worth and wished him the best in his new endeavor. That would be the classy thing to do. Sure Gilbert is in denial, but perhaps he should he should have just kept it to himself. While people in Cleveland might appreciate Gilbert’s diatribe, it’s unlikely this does much for the Cav’s brand around the country. A similar example of classless behavior is the cast of Kin characters busily bashing Microsoft over the decision to pull the plug on the much-hyped, but weak-selling social media phones. No doubt this was mismanaged from the get go. Still, the problem was more that the gap Microsoft was targeting between smart phones and regular phones ended up getting squeezed by low-cost smartphones and high-priced data plans. The Kin was a non-starter from the get go. But instead of moving on, disgruntled employees are publicly airing their beefs for the world to read. What’s the point of this? No one really cares about your complaints – which only tell one side of the story – and make us think less of you. Certainly, I would not want someone who’s willing to bash their employer on the Web as a part of my team. I remember back when email first became accepted in business. We learned quickly never to send emails that you write when you’re angry. Similarly, it’s time for a bit more restraint before angry letters and blog posts go live. Nothing good ever comes from removing all doubt that you’re a putz.